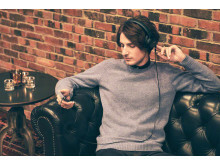 Following on from the acclaimed MDR-1A headphones that launched in 2014, the MDR-1AM2 brings a host of new and improved features to take the premium headphones industry by storm. 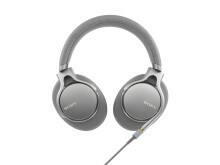 Sony has built on its already established high quality listening expertise, and improved its sound even further. 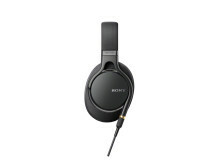 If you don’t want to compromise on sound quality, these headphones are definitely for you. Extending even further their Hi-Res credentials, they are compatible with up to 100kHz frequencies playback, and boast a newly developed 40mm HD driver unit so you can enjoy full-bandwidth sound, as well as aluminium-coated liquid crystal polymer diaphragms, supporting every fine distinction with perfect reproduction. The 1AM2s feature a Fibonacci-patterned grill to support ultra-high frequency ranges as well as silver-coated OFC (oxygen-free copper) for less transmission signal loss. A final benefit is the option of a 4.4mm balanced connection, as well as a standard 3.5mm connection for improved usability. This pair of headphones has taken learnings from the Signature Series headphones, the MDR-Z1R, and follows the same sound direction. The headphones are lighter than their previous model - a great advantage whether you are wearing them at home or on the go. With this pair you can enjoy wearing your around-ear headphones for longer, with ear pads that have been specially designed for lasting comfort. The luxurious, comfortable synthetic leather ear pads are made of low-resilience polyurethane foam. The 1AM2s are introduced in two stylish colour options - black and silver - for understated elegance. 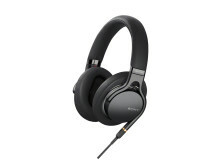 The headphones come with two cables, a standard one as well as a 4.4mm balanced-connection headphone cable in the box. 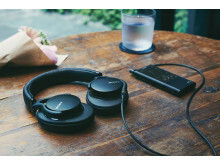 However, if you seriously want to boost the quality of the sounds that you are listening to, Sony is also releasing a Kimber Kable® as a perfect match for the 1AM2’s. The MUC-S12SB1 Kimber Kable® is compatible with these and other single output headphones. 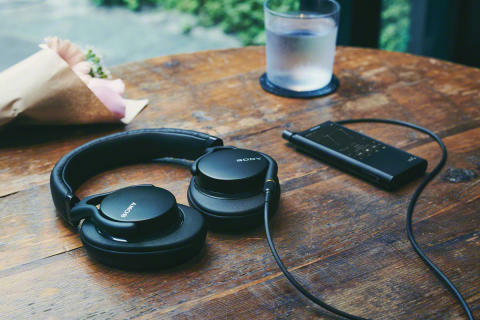 So, if you are looking for the compatibility of balanced connection between Walkman® and Sony headphones, look no further. The MDR-1AM2 will be priced at approximately €290 /£230 and available from early April.